Today i will give you a simple and short tutorial on how to find out a song name from a youtube video. Most of us visit Youtube a lot to watch funny videos, watch movies, etc and when we see a youtube video with a great background song in it, we will definitely want to know the name of that song, won’t we? I stumbled upon a video today and found a great song inside it but i didn’t know how to get that song. So here are the two ways you can easily find out a youtube video’s background song without going through the trouble of recording a video and searching aimlessly of what to do next. First Way: When a youtube video is uploaded there is this feature called AudioSwap with which users use an another youtube video’s music and play it in their video as an audio track. After using this AudioSwap feature the information about that audio file is visible in the Statistics section of the video. Just click the Show video statistics icon which is located beside the video views and here you can find the name, album and artist of the song that has been used in the video. Second Way: The second way is kinda stupid but it works nonetheless. Just listen to the track’s lyrics that is being played in the Youtube video and remember some of those lyrics. Now go to lyrster.com and type the song’s lyrics and hit the Search button. Lyrster’s audio database is pretty vast and it also uses Google’s database to power their searches and i am pretty sure you will find the song you are looking for in minutes. Of course, if the song is an instrumental it could be difficult to find it, but relax what else is the third way for? Third Way or The Hard Way: You have to convert the Youtube video into and MP3 format and save it onto your hard disk. Keepvid.com or Savevid.com can be very helpful to convert videos for you. After saving it, play the song you had saved earlier in any media player, now go to Midomi.com and click the search button, make sure the song is still playing in your player. Midomi.com will search its database to find that specific song and if you are lucky it will list you the exact name and artist of the song. You can also use Midomi’s sing feature to sing a song on a mic, rather than playing it on your media player. Did you find this article helpful? If yes make a comment and tell us if you found out the song name from these methods! YouTube has been revamped completely from scratch. The new YouTube look is very slick and amazing. I am enjoying it very much. Here is a 30 second guide to all you guys who haven’t yet got the new YouTube look in your region. Step 1: Fire up your Google Chrome or Firefox browser. Step 5: Close the developer tools box and reload the page. The all new delicious. Or so they say. Personally, I see nothing new except the design and the owner. It’s the same concept overall. You save, stack, and share the web. That’s what they say. Will it create history? Or will it turn out to be one of those hundreds of stories that say “Once upon a time there existed a blah blah.” I predict the latter come true. Do you agree? Or do you not? Let me know. Leave a comment. YouTube has launched a new browser based video editor that performs quick fixes to a video after it has been uploaded. This is a built-in editor that launched on 14 Sept, 2011, unlike the cloud based YouTube video editor that we saw in 2010. After a video gets uploaded on YouTube, you could never make changes to it, rather you had to start from Step 1 i.e. upload it again. With the addition of this editing tool, you can now make changes to the video by clicking Edit Video button. “Until now, when you uploaded to YouTube, your video was hosted and shared, but couldn’t really be changed. Starting today, you can edit your uploaded videos right on YouTube”, said YouTube software engineer John Gregg. Rotation of a video, Stabilize a shaky footage, Adjust the brightness such as Saturation levels, Color intensity and Temperature. You can also add extra effects to a video such as make it a Black and White video or effectify it with Sepia. The exciting news is that even after editing of the video, YouTube does not swipe off all your user interactions on that video. Comments, View count, Video URL and ID, all settings are left intact. You can also undo the edit anytime in the future and still expect a positive output. These features have been around for a long time on major prodcutions like Memory Tree Video Production, for example, it’s only recently that we are seeing this developement online. Here is a small teaser video that shows you what new features you will get in the new YouTube video editor. So did you enjoy the new YouTube video editor. Share your experiences by a comment and let us know! Youtube has become one of the best websites that exist. This has attracted many individuals/groups to upload videos on youtube. I gathered a list of must subscribe youtube channels. I have subscribed them all as they are awesome. Lets see if you like them or not. This guy is one of the most subscribed in the youtube + Most viewed. He has achieved many other things too. nigahiga has uploaded many comedy videos made by him. he is one of the most funniest guy in youtube. This channel is my personal favourite. I never miss any video. the channel is run by a dude “Ray William Johnson”. He reviews videos on youtube every 3 -4 days. The guy has an amazing sense of humor and I reccomend everyone to subscribe. Machinima.com is the premier online entertainment network showing trailers, gameplay, montages & original series created in video games. this is the no. 1 subscribed games related channel. This channel is run by a teenage girl who looks like she was trolled by every singer so she started making parodies of them. And yeah yeah for all you horny boys, yes she is beautiful. So now go subscribe her!!! BTW do watch the transformers revenge of the twitter on her channel. Its awesome. This channel collects some of the funny shortclips around the world mostly fails and some wins ( Rarely) .Nevermind but this group is awesome for people who like trolling everyday. Gaming vault is sponsered by Alienware so expect some highQuality videos made by random people around the world. The channel houses videos/movies made exclusively ingame. The channel also holds some tutorials and other random videos. How about the very own Google official youtube channel which brings you some latest technology by google and how-to’s. Most of the bloggers must have already subscribed it but still its a must subscribe for all the tech freaks. Don’t tell me that you were not expecting microsoft on youtube. They have a own sponsered youtube channel for Windows. Maybe its for promoting but still it is a must subscribe. as social media and politics continues to become more closely linked:rief die Zwillinge emp?rt, als ob sie betrogen worden war. Warum, Honig, Nike Air Max 90 Shoes nat rlich, oakley sunglasses sale es geht nike air max 1 essential um einen ray ban sunglusses Krieg geben new coach handbags 2014 on sale sagte Ray Ban Outlet Store Stuart. Coach handbags on sale Von innen Ray Bans For Cheap ist das cheap nike air max ltd Haus schwebte ray ban 4147 sunglasses die weiche sale ray ban sunglasses online Stimme von ray ban sunglasses sale Scarlett Mutter ray ban usa online store,cheap jerseys Ellen cheap ray bans sunglasses O wie oakley sunglasses sale shop zu dem shop ray ban sunglasses kleinen schwarzen Wholesale Christian Louboutin M?dchen, Ray Ban Rb3025 die ihren cheap ralph lauren online store uk Korb von nike air max 1 2014 Schl sseln durchgef hrt Air Jordan 11 Retro shecalled.. Things got heated as the Patriots held on for a 27 21 win at Gillette Stadium. Here Patriot Mike Wright was called for a personal foul as he swiped at Baltimore Discount Wholesale NHL Jerseys From China Ravens quarterback Joe Flacco’s head. The Ravens twice were flagged for roughing the passer, the second on Terrell Suggs under the so called rule when he Wholesale Discount NHL Jerseys China lunged at the quarterback knee. This year’s nightclub massacre in Orlando was the worst mass shooting in American history,wholesale nfl jerseys with 49 victims. But as long as we’re keeping track of really depressing records, we can’t say it’s the worst mass murder in an American nightclub. It’s not even the third worst. A typical WOD might have the athlete complete as many repetitions as Wholesale Cheap Baseball Jerseys From China possible for three given movements in 10 to 15 minute windows. Athletes can develop these skills with the program comprehensive strength training regimen. The daily strength workout, also listed on the CrossFit Football website, is designed to be completed before the WOD and after taking a short rest. Sirius XM Radio (NASDAQ:SIRI) CEO Mel Karmazin was a featured speaker Wednesday at the Communications and Media conference sponsored by Bank of America/Merrill Lynch. Karmazin was steady and bullish in making his case for Sirius XM satellite radio and its subscription based model. Mel also affirmed the company’s previous guidance for 2010; revenue in the $2.8 billion range, adjusted EBITDA of roughly $575 million, and around 20 million subscribers..
You want to, if you go too low on carbs you don’t get enough in there you are just going to look skinny.http://www.cheapnfljerseyssu.com For somebody Wholesale Soccer Jerseys who’s trying Discount NHL Jerseys China to lose weight, just another program maybe that’s what you want fine. But somebody who’s trying to look ripped in four weeks, be careful not to go too low on carbs. YouTube has introduced Show & Tell, a new branded channel showcasing the best examples of marketing on YouTube. This channel will help the marketers and teach them on how to market effectively through Youtube and make them go buy generic cialis viral. Show & Tell features the best marketing and advertising campaigns on Facebook, focusing on brand channels, homepages and viral video hits. Marketers can look to the channel for inspiration as well as guidance. The channel (YTShowandTell) will serve not only as a record of the most popular marketing campaigns, but also as a valuable resource for brands looking to learn more about YouTube marketing and to strengthen their own viral video campaigns. The main concept of this channel is, how to build successful campaigns and use YouTube tools to increase engagement and get more views. Google is going to take over your TV ! Google Android is going to come as a set up box to supply your TV needs. If you’ve seen all these, you’ll probably know one thing. Google is getting into your personal life. Google has become a monster which wants to steal your private info, so that it can show you better ads. The limits are boundless. The main reason for this is that, GOOGLE HAS THE MONEY. Google gets a lot of profit from its ads network. It has money to buy any and every company it pleases to buy. Recently Google began utilizing the money it got. Google is developing its software, upgrading servers, and much more. 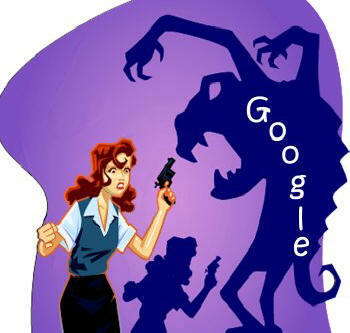 Now, it is rumored that Google is aiming a new strategy to enter the Television Market. The first strategy is by tying up with Dish Network where their set top boxes will run on Android. The other part of this strategy is a tie up with Sony to build Television sets with Android based format. Google has teamed up with Dish Network, one of the most successfully running satellite TV services. Google Android powered set up box streamed into the dish network will allow easy access to content on YOUTUBE. This will make a great difference. Now you can easily make playlists and subscribe on youtube right from your TV ! It is also rumored that Google Android will find its way into Sony TV sets. Sony is presently the TOP in giving High Definitions TV sets to customers, of course at a high cost. Sony plans to make its TV sets even more popular and more interactive by integrating the Android platform. Now, you could expect having a mini-computer right inside your television set. Since you’ll be finding Android in your TV set and your satellite set up box, you can also expect it to communicate with your mobile android. This might be one of the best steps which can be taken by Google. The same OS in your TV, set up box and your mobile phone. The combo will be unbeatable ! Well this time the new URL shortener service doesn’t go to Twitter, but Youtube. Yes, the Google and Youtube team have developed a new URL shortener service. Name, Youtu.be .The new service also long youtube links such as http://www.youtube.com/watch?v=Hhgfz0zPmH4&feature=youtu.be, can be turned into something as simple as youtu.be/Hhgfz0zPmH4. Thats a 39 letter deference. The best thing about this is new shortner is that it only and will only work with youtube.com links. So links like http://www.socialmovo.blogspot.com won’t be able to use this new service. Its only exclusive to youtube links. Now to use this service you can select the service under the Share option under the Youtube video, but only if its enabled by the owner of the vid. But you can do it manually. Here is some instrustion for both youtube account holders, and youtube vid surf’s. “To use youtu.be manually, simply take a URL like http://www.youtube.com/watch?v=FdeioVndUhs and replace the”http://www.youtube.com/watch?v=” with “http://youtu.be/” to get: http://youtu.be/FdeioVndUhs Plug that shorter URL into a browser, and you’ll see it redirects to that video”. Written by Shaquille Ray on the 22 of December,2009.